Music, specifically rock ’n’ roll, has lost another great. 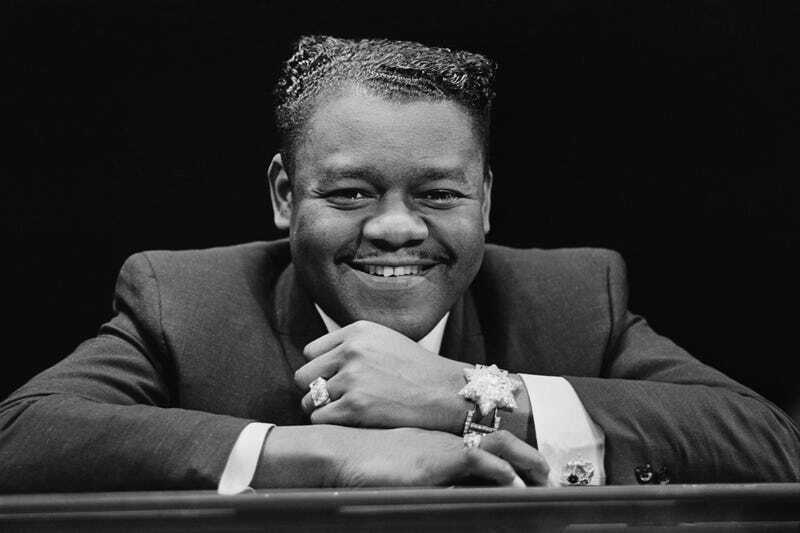 The legendary Fats Domino of New Orleans passed away Tuesday at the age of 89, surrounded by friends and family. According to TMZ, the Jefferson Parish, La., Coroner’s Office said that Domino died of natural causes, noting that no autopsy was performed and his body has since been released to a funeral home. NPR notes that between 1950 and 1963, Domino made it to the R&B charts some 59 times, and also hit the pop charts 63 times. He outsold Little Richard, Chuck Berry and Buddy Holy combined, with only Elvis Presley—who cited Domino as an influence—moving more records during the same time period. As TMZ reports, Domino sold more than 65 million records in his lifetime and received a Grammy Lifetime Achievement Award in 1987, a year after he was inducted into the Rock and Roll Hall of Fame. He survived Hurricane Katrina (he had a mansion in the 9th Ward and was rescued by helicopter) and performed for benefit concerts and recordings to rebuild the ravaged city he loved. Read more at TMZ and NPR.